Yogurt is a perfect solution for your digestion problem. Not only that yogurt gives you an appetizing ice cream-like product, but it also contains a lot of nutrients. However, to find a good yogurt is not an easy problem, because a lot of yogurts are made with too much addition of the synthetic substance which ruins its freshness and natural taste. 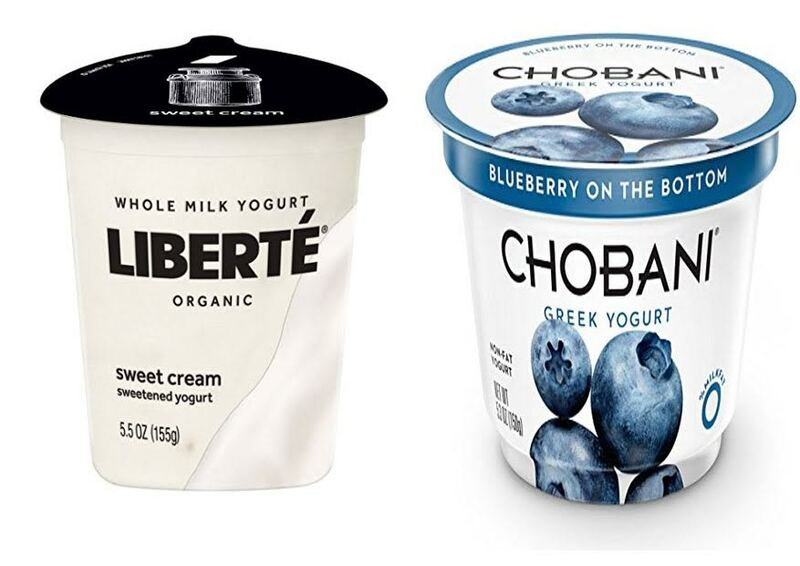 But those problems are not happening with these two products, Liberte Yogurt and Chobani Yogurt. Liberte yogurt is a Canadian company which starts to innovate its milk into milk product like yogurt. The company is making the well-known yogurt, Bioyogurt. This bioyogurt is a yogurt which is made with creamy and smooth texture. On the other side, Chobani is the Greek yogurt. This Greek Yogurt is no doubt pretty delicious and healthy. Many of its fans are claiming that this yogurt is very healthy as it has more protein and less sugar than regular yogurt. So if you want to know more about these two products, let’s see the explanation below. Liberte is not very different from the usual yogurt in term of taste. There is some sweet taste with fresh feelings. It has a fruity flavor, and its sweet is coming from the fruit juice which is mixed with the yogurt. One of the positive points is that Liberte not using the synthetic sweetener. Instead, it chooses to use the natural fruit juice as its sweetener. On the opposite, Chobani is pretty much had their own idea about how a delicious yogurt should be. We said this because its taste is not like the usual yogurt, it is not sweet enough to cover its sourness. There are also another mixing inside Chobani which is maybe caused by its priority for health. Liberte is the pretty good for your digestive problem. The excellent taste that it offers also makes it easier for you to consume it. You will also get the other benefits like better recovery ability, or boost your immunity. These abilities are caused by its ingredients which contain many potassium, amino acids, and protein. On the other hand, Chobani is a very healthy yogurt. Even though its taste is not very tasty, but its ingredients are very healthy one. Chobani is using ingredients such as nonfat milk, pectin, blueberries, and evaporated juice. The sweetener that Chobani choose is the plain normal sugar. Though the amount of sugar that it uses seem quite lacking as its taste is not that sweet for a yogurt. Chobani looks like a pretty decent yogurt for our health up to this point. However, all this praise is going to waste because Chobani is using the food color. Yes, it is a food color which is made with standard, but isn’t it better to just use the natural color which can be extracted from the fruits?